So when I was thinking of making chili, I just wanted to experiment with something a little different. I thought why not use some Italian ingredients instead of the traditional ones. 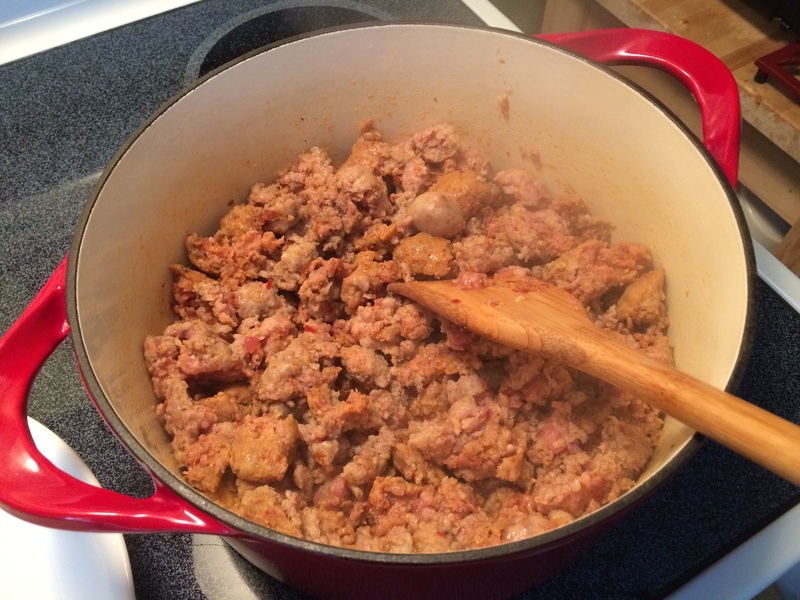 I started by browning 1 package of hot and mild Italian sausage in a large pot and then pulled it out with a slotted spoon to drain the excess fat. I left around 2 tablespoons of the fat in the pot to cook my veggies in. I sauteed my one onion and one fennel bulb first, then added my minced garlic. 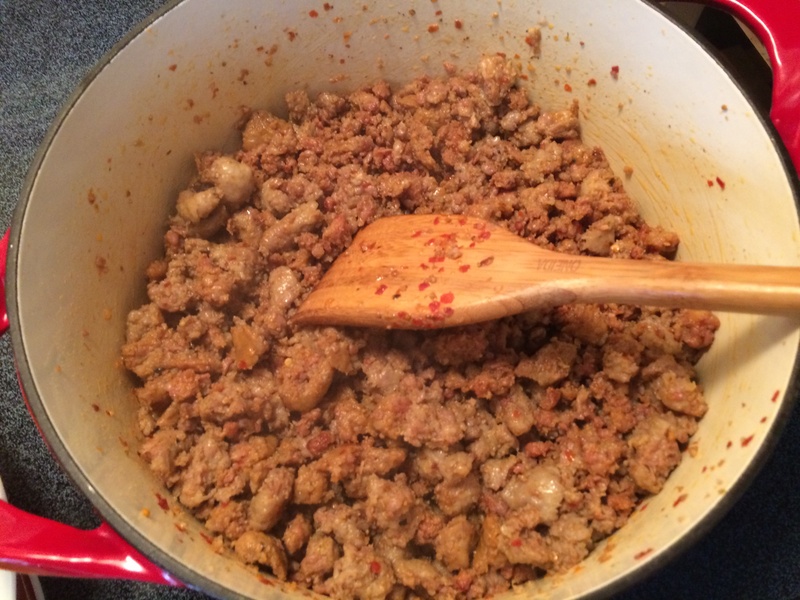 Now everyone makes chili different but because this is an Italian version at this point to enhance the fennel flavor I added 1 tablespoon of fennel seeds, 2 tablespoons of chili powder, and 1 tablespoon of good tomato paste and stirred this up until the paste was incorporated. 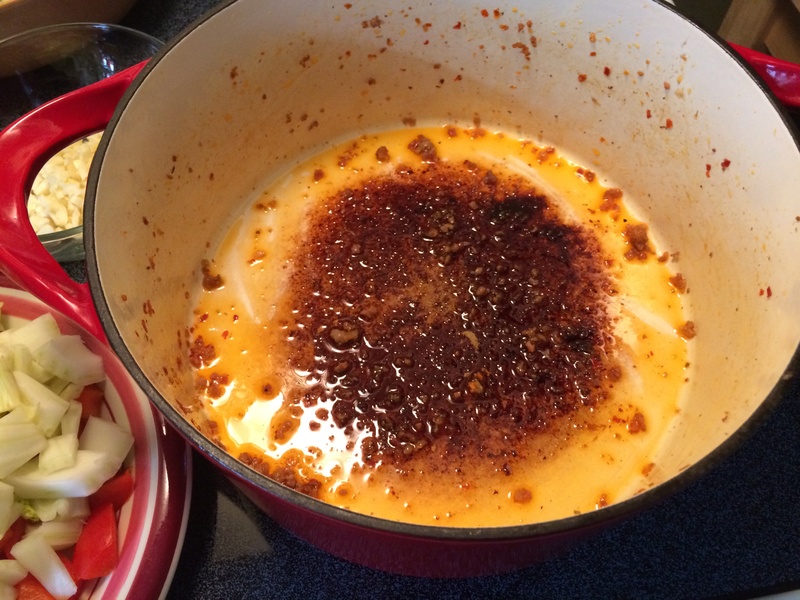 Next, I added 1 Poblano, 1 yellow, 1 red, and 1 yellow bell pepper, large dice to the mix and cooked until just tender, about 2 minutes or so. I poured 1/2 a cup of beef stock to deglaze the bottom and get all the bits released and let that simmer for a minute until the stock was reduced. 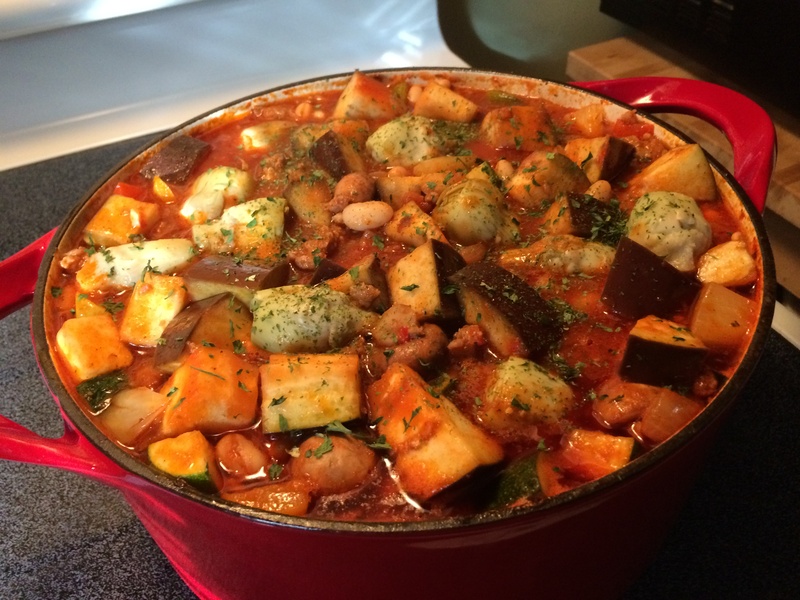 Then I added 1 eggplant, large dice, into the pot along with 1 package of crimini mushrooms quartered and 1 28 ounces can of San Marzano crushed tomatoes and 1 small can of diced tomatoes. 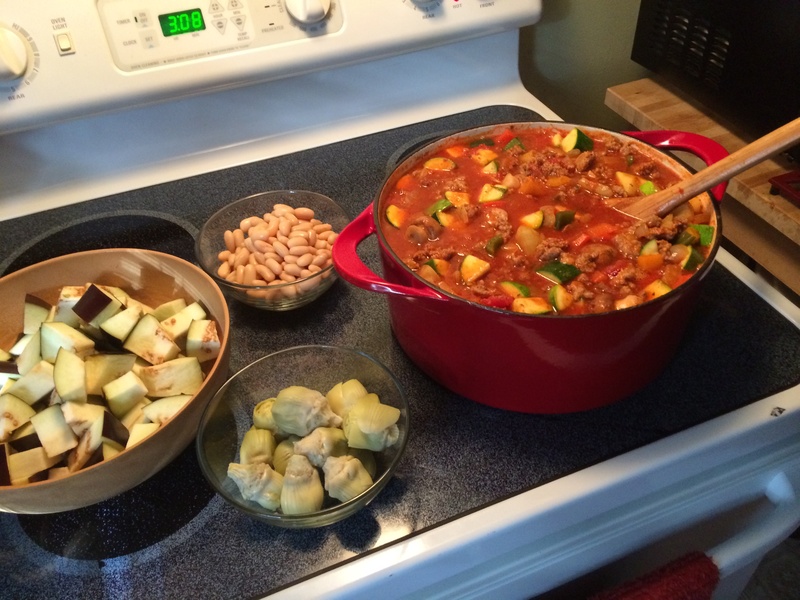 I then added the cooked sausage back in a stirred everything well and let that cook for about 45 minutes before adding the zucchini, 1 package of thawed artichoke hearts, and 1 can of drained and rinsed Cannellini beans to the pot. Gave it a big stir again and simmered on low for another 45 minutes until everything was cooked and the liquid had thickened nicely. 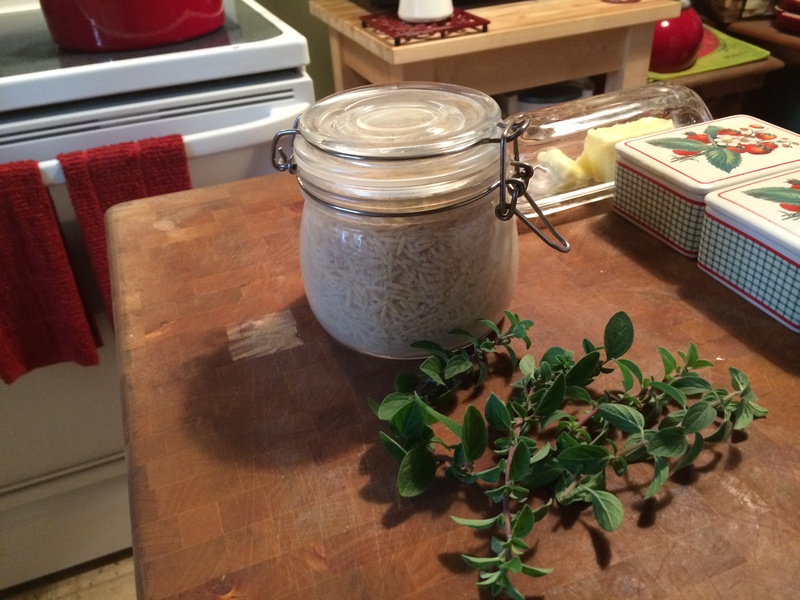 When it was ready I ladled some orzo pasta in the bottom of the dish and topped the bowl off with some fresh oregano from my garden and some freshly grated mozzarella cheese. I have to tell you it was not your regular chili but it was so good on a cold night. 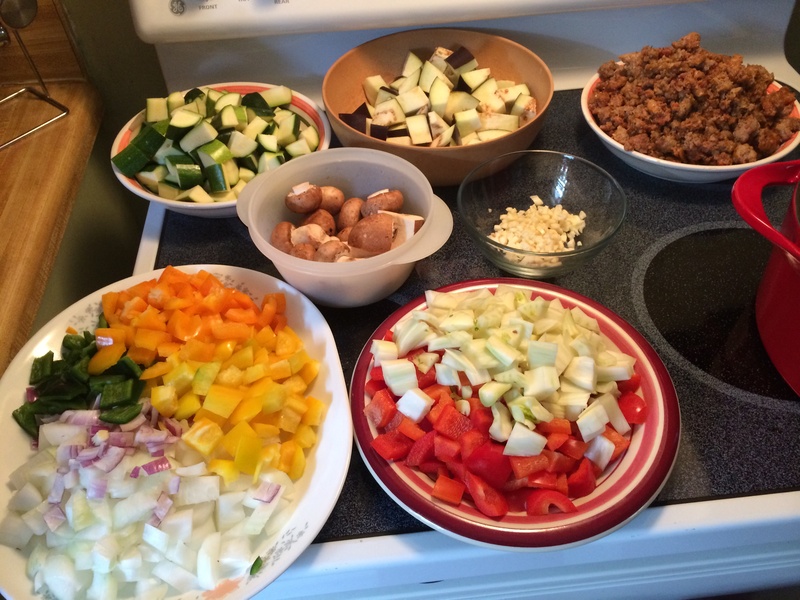 If you like the flavors in a Caponata you will love this chili.